Went off the end of the runway into a fence. 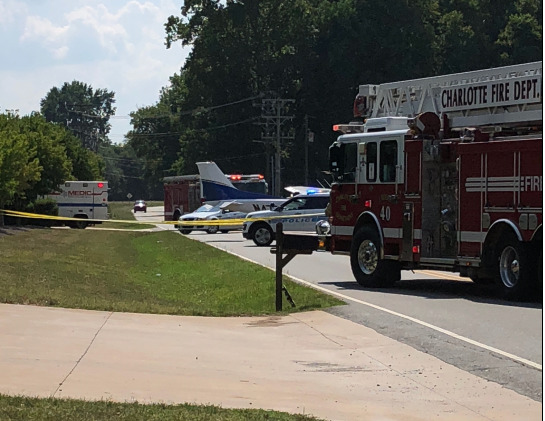 CHARLOTTE, NC (WBTV) - Emergency officials responded to an accident involving an aircraft on a road in Charlotte Sunday afternoon. According to Medic, the incident happened in the 10500 block of Parkton Road. The scene is located at the Wilgrove Air Park, where officials say the plane overshot the runway. According to the battalion chief, there were two female occupants on board, but no one was hurt. Charlotte Fire says the incident is under investigation. There were significant delays in the area and drivers are advised to seek alternate routes. Wtf? Took out a fence and no apparent damage? Oh, there is damage alright. Prop strike, etc. Get out the checkbook. I just drove over there a few hours ago. I used to hate flying into and out of that garbage "airport". **** needs to be ashamed of himself for letting the place go to piss in the way it has. By far one of the most dangerous airports to fly into and out. Once did 3 go-arounds there on that same rwy (17).. we were critical fuel on the last approach and would have ended up just like N477F. 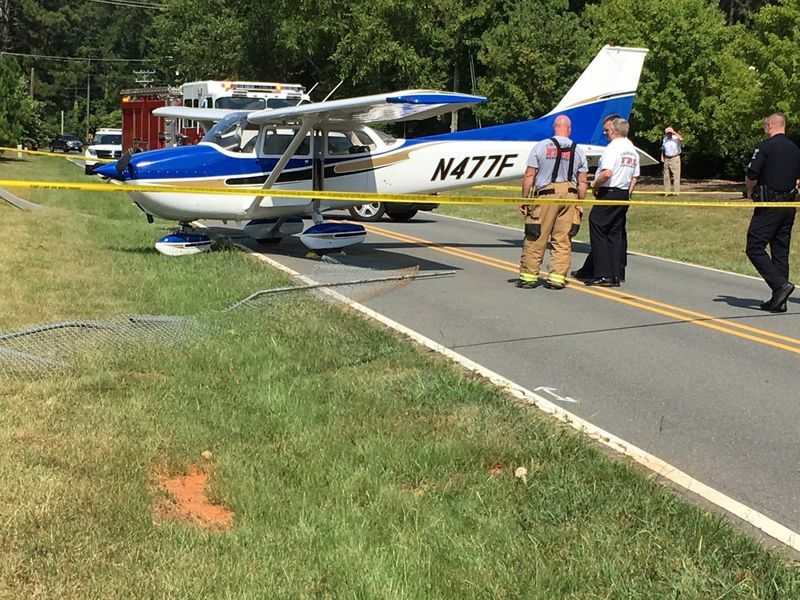 Lose an engine on short final or upwind and you have ZERO options.. you're eating trees. Women drivers. What do you expect? I remember being told to do a go-around on initial pilot training but that was not because of the potential for over-running the end of the runway. The time I needed to do so was because a Helo accidentally wandered beyond the runway-crossing taxiway hold line and did a runway incursion. What I do not hear pilots saying is pitch controls airspeed at any power setting and power controls altitude at any reasonable pitch setting (credit: Stick and Rudder). That rule works for me.